CellPhoneCases.com offers the best deals on cases and accessories for the Apple iPod Nano 7th Generation, the thinnest iPod ever made. Scroll down to check out our selection of batteries, car chargers, travel chargers, retractable chargers, plastic holsters, silicon skin case, leather pouches, carrying cases, phone holders, car kits, LCD protective films, Bluetooth headsets, Bluetooth USB dongles, handsfree headsets, FM transmitters, belt clips and a lot more. 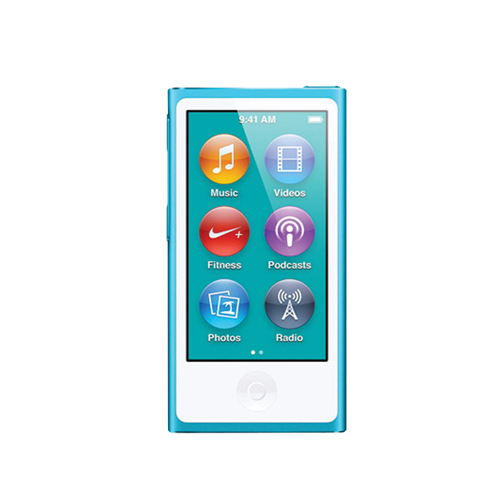 You will be amazed by the premium quality and low prices of these Apple iPod Nano 7th Generation accessories. Please feel free to contact us if you cannot find anything. We're happy to help you locate whatever you need for your Apple iPod Nano 7th Generation. Enjoy shopping!